Press release covering recent work of the lab, published in the EMBO Journal, uncovering a novel molecular mechanism required for degeneration of nerve cells. "Neurotrophic factors in development and disease of the nervous system"
Eirini Lionaki and Vassiliki Nikoletopoulou have both been awarded long term postdoctoral fellowships in the recent competition of the General Secretariat for Research and Technology, to pursue their studies in the lab!!! Nikos' review on stress and ageing has made it to the number one position of EMBO Journal's top-10 list of most downloaded articles!!! "Cellular Genomics in Human Populations"
The Foundation for Research and Technology opens its doors to the public. 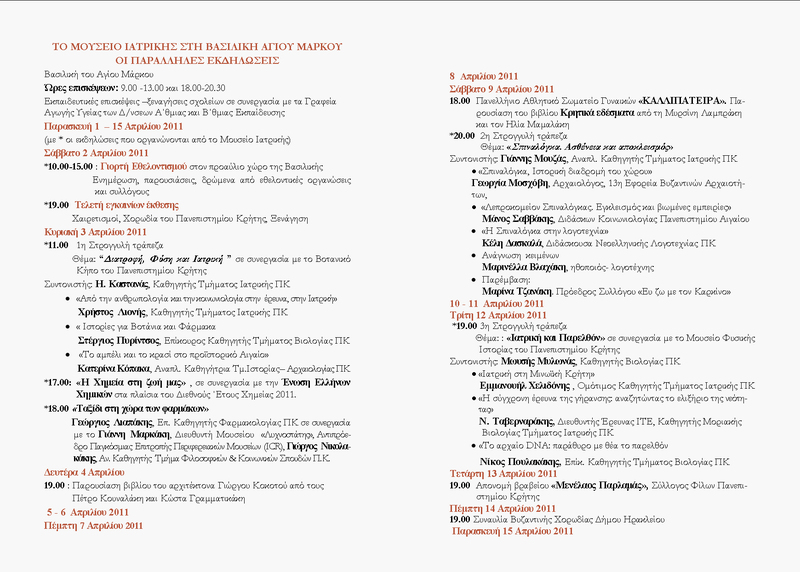 "Travelling to Rome: inflammation, endoplasmic reticulum stress and angiogenesis during atherosclerotic plaque development"
The Ministry of Education of Greece appointed the new members of the National Life Sciences Council.